NASA’s New Horizons spacecraft is speeding quickly toward the first flyby of Pluto and its moons – nearing the destination on a voyage that has already captured the imaginations of millions and shown what perseverance and creativity can do. The real spacecraft – developed at the Johns Hopkins Applied Physics Laboratory in Maryland – is about the size and shape of a grand piano. But you might be able to own a smaller version, thanks to an effort to create a Lego model of the spacecraft. 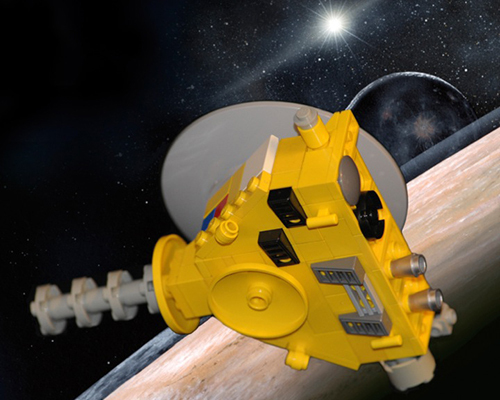 Concept for a New Horizons Lego model. Lego will consider producing set concepts that reach 10,000 supporters.